How Much Detergent Should I Use in a Whirlpool Front Load Washing Machine? While not adding enough soap to your washing machine, no matter what model you have can leave you with dirty laundry, adding too much soap might cause even more problems. Front load washers need only a specific amount of soap to clean your laundry and the machine itself isn’t damaged. How can you tell if you’re using too much soap? 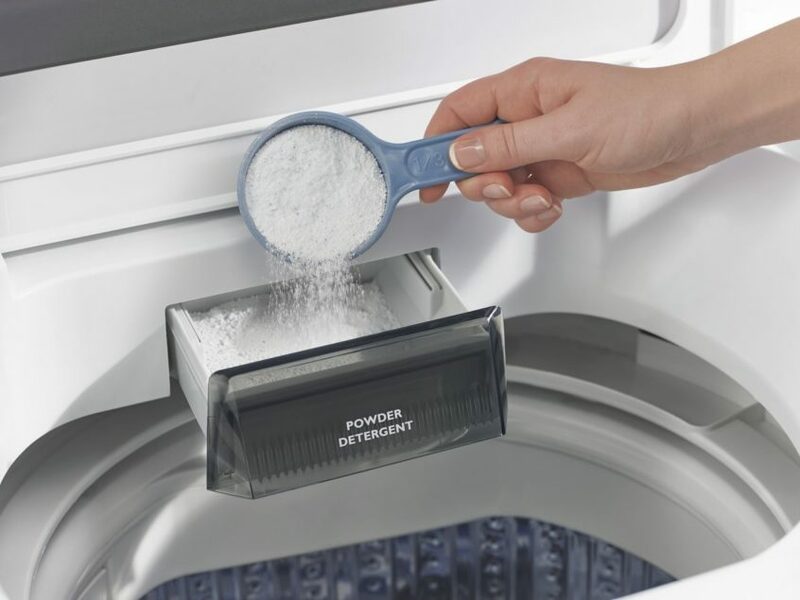 Over time, regularly using too much laundry soap can shorten the lifespan of your machine and cause an odor. A more immediate way to know if you need to reduce the amount of soap per load is to check for bubbles: if you see soap bubbles in the waterÂ near the end of the last rinse cycle, that means your machine couldn’t rinse out all of the suds. Not only can this damage your clothing, which isn’t meant to hold onto soap outside of a washing cycle, residual soap can build up in the machine. Whirlpool recommends using high-efficiency detergent, which not only reduces the total amount of soap you need per load but is better for the machine itself; it has been designed to not leave behind a filmy residue, and it’s a liquid instead of a powder so it can’t work into the internal nooks and crannies of the machine. Regularly cleaning your machine each month with a machine cleaning cycle can help remove any excess residue already in your machine, but if you’ve noticed repeated over-sudsingÂ or longer cycles you may want toÂ schedule a machine servicingÂ so your washer runs efficiently and with a longer lifespan.Â Go to Appliance ExpressÂ to learn more about troubleshooting problems with front load washers and other major appliances.